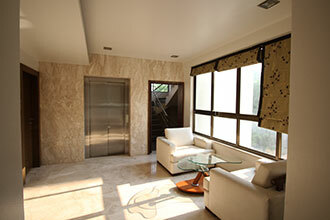 This business-class stay option in Pune is designed with an outdoor seating space in the lawn area. There are 20 luxurious, air-conditioned rooms maintained with contemporary decor. Indian and Korean cuisines can be savoured at the Green- Brown Lounge, which overlooks the landscaped lawn space. Guests can also stay connected by availing the high-speed WI-FI Internet service, which is available in the restaurant. There is also a travel counter that offer travel assistance to the guests.